This Parasidal Formula contains two different types of wormwood, artemisia annuae and artemisia absynthium, plus additional parasite herbs to target both the large and small intestinal tracts. The herbs are 100% organic and placed in 100% vegetarian capsules. 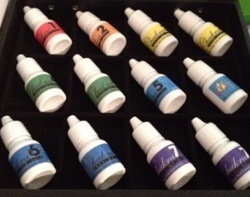 To buy this product in bulk or for resale, please contact our clinic at 310-672-3073. Must have resale license. The Parasidal Formula and the Gentle Colon Cleanser from Support the Mountain were formulated by Dr. Mikio Sankey. The Parasidal Formula contains two different types of wormwood, artemisia annuae and artemisia absynthium, plus powdered cloves (to kill the eggs) and additional parasite herbs to target both the large and small intestinal tracts. It also contains powdered cloves to kill parasite eggs. If you do not kill the parasite eggs, you will have a full colony of parasites within several months of a cleanse. 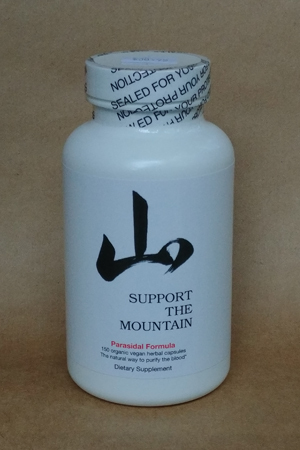 Dr. Sankey has been investigating and working with various parasite formulas for twenty years, and feels that this formula from Support the Mountain is the most broad spectrum formula available today. The herbs are 100% organic and placed in 100% vegetarian capsules. 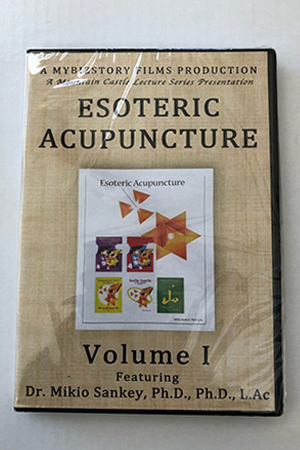 NOTE: If this is your first time using this Parasidal Formula Dr. Sankey suggests you start with three bottles of the Herbal Parasite Cleanse to ensure complete evacuation of parasites and their eggs, that may cause a relapse.